Is value investing still valid? Do you see any evidence of superior investment strategy for the last five years? Seems all is correlated and all is going nowhere. This is a question I got from a reader of my newsletter. I hate to be impolite, but I think he is focusing on the wrong thing. Yes indeed, over the last five years, the market has given us one disappointment after another – first the financial crisis in the US and now Europe. There is a silver lining in all of these crises, though. Mortgage rates are at an all-time low. Five years ago today, the 30-year mortgage rate was 6.75%; now it is 3.5%. 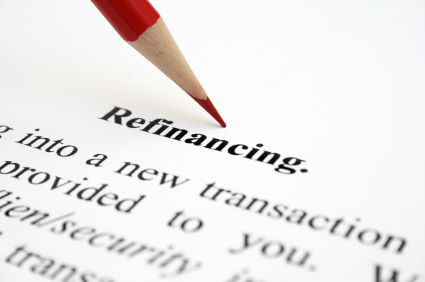 If you have a $400k mortgage on your house, do you know how much you save if you refinance? Under the original mortgage rate, the monthly payment is $2,594; under today’s mortgage rate, the monthly payment is only $1,796, a savings of $798 a month or $9,576 a year. If you invest that amount every year for the next 30 years, and assuming your money grows 8% per year, you will have $1.1mm in 30 years. These crises just made it possible for you to become a millionaire! Instead of bemoaning a crisis, why not seize the opportunity that it presents. 2 Responses to "Crises and opportunities"
That was a great reply. A good financial planner like you focuses on the positive aspects of the recession in ways that an average investor does not. I refinanced in 2011, not getting the lowest rates, but moving from a 30 year to a 15 year mortgage for only $50 more per month plus closing costs. I could have done better in retrospect, but not much, and I saved money anyway. After all, there is no way to make money in the past, just correct mistakes (yours or others) and move forward. Thank you for you kind word. I have found the predicting the marketing, finding the next hot stock or fund manager or strategy is the least productive activity investors like to do. There are plenty of opportunities to enhance one’s financial situation. I lament that so many people are blind to those opportunities.